The best teachers are ones who aren’t simply good at what they do, but who are in love with their work. The teacher who swoons over stories. Or the one who geeks out about science and brings in stuff that explodes and oozes. Or the teacher who dresses up like Plato for the unit on Ancient Greece. These are the ones who transmit their enthusiasm by osmosis – they can’t help entrancing their students because they love their subject so much. This is how I feel about math and science. Before I was a speculative fiction writer, I got a bunch of degrees in engineering and science. I worked for NASA, studied global warming, and was generally a Very Big Geek. I didn’t just love the gadgets… the math and science principles that created them seemed magical to me. Not because they were impossible to understand, but because they were wondrous. As an author, I believe books are lessons in life. I want to use them to transmit that love, that wonder, of science, math, and technology to the young minds who will grow up to use them. 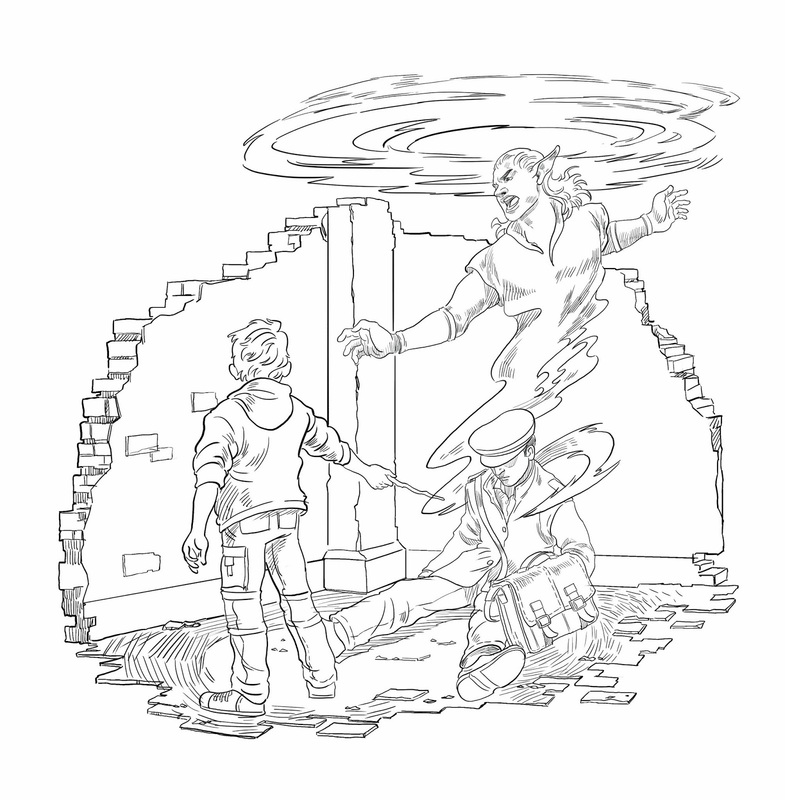 Prince Zaneyr sends his faery mentor back to the Otherworld. In Faery Swap, my middle grade fantasy, warrior faeries leave their Otherworld and come to Earth seeking the latest mathematickal knowledge the humans have gained. They take this knowledge back to their realm, where it enhances their faery powers of dimensional magick. Mathematickal knowledge is the mostly highly prized, as it gives the faeries the ability to manipulate the very fabric of spacetime. Stories are an ancient and sneaky way to drill deep into the minds of readers (or listeners or viewers) and deliver important knowledge and wisdom. But they must also be entertaining! Which is why Faery Swap has runaway faery princes, an evil faery king, a boy who needs to find his way home, and lots of magickal duels, political intrigue, and the fate of two worlds – both human and faery – hanging in the balance. Math and science are key elements in both threatening and saving the two worlds, showing that the ethical use of knowledge is as important as the knowledge itself. I hope that kids will see they each have an inner warrior faery, one who is capable of seeking knowledge and performing great deeds with it! Warrior faery prince Zaneyr at Stonehenge. 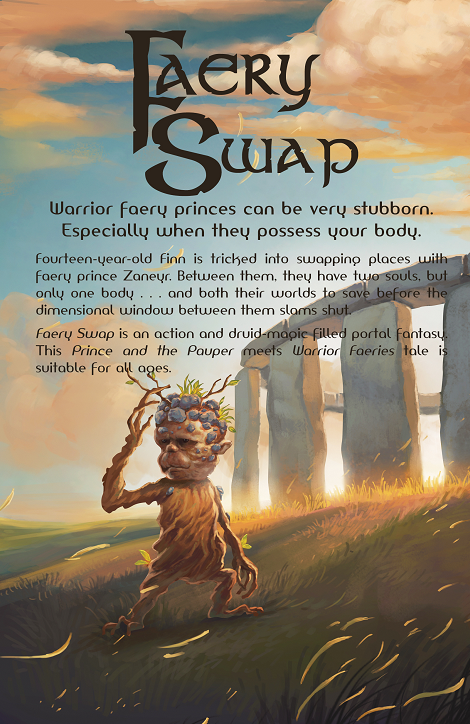 Faery Swap is just a children’s story, but I am in love with the ideas captured inside. I hope that love, in the form of small traces of dimensional magick, will rub off on every child who reads it. Susan Kaye Quinn is the author of the bestselling Mindjack Trilogy, which is young adult science fiction, along with several other speculative fiction titles for adults. 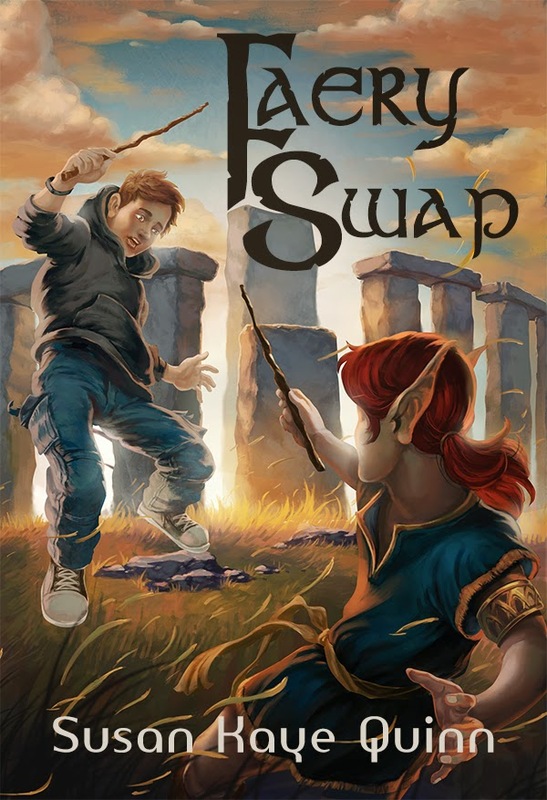 Faery Swap is her first published children’s story, even though she started out writing middle grade before anything else. She always has more speculative fiction fun in the works. You can find out what she’s up to by subscribing to her newsletter (hint: new subscribers get a free short story!) or by stopping by her blog (www.susankayequinn.com). Who are you who are so wise in the ways of science…? Nice post on the importance of having a deeper message in your writing, while still making it fun. This is rare, Sue. Not being in love with an idea or masquerading it inside entertainment (I attempt the same for my love of history), but having the object of such affection in a MG book be math and science. Our classrooms are shy on that. I’m even more excited to read it. When you get your lesson plans done, I’d love to see what I can impliment in homeschool for my two boys! Yay! I’d love to pass my lesson stuff by you, Michelle, once it’s close to done, to get your take on the usefulness for homeschoolers. I hadn’t thought of that, but I think it’s AWESOME. I absolutely love this line, Susan: “Stories are an ancient and sneaky way to drill deep into the minds of readers (or listeners or viewers) and deliver important knowledge and wisdom. But they must also be entertaining!” Storytellers have been doing this for thousands and thousands of years! Glad to be a part of it! Wishing you all the success in the world with your newest lesson, er I mean story! Cheers! Just love the idea of the fairies, ribbing kids into higher math skills. What a charming story — and such profound advice behind each snippet of advice of dialogue from the faes! Who knew that fairies could be so academic? LOL! LOL! I know, right? 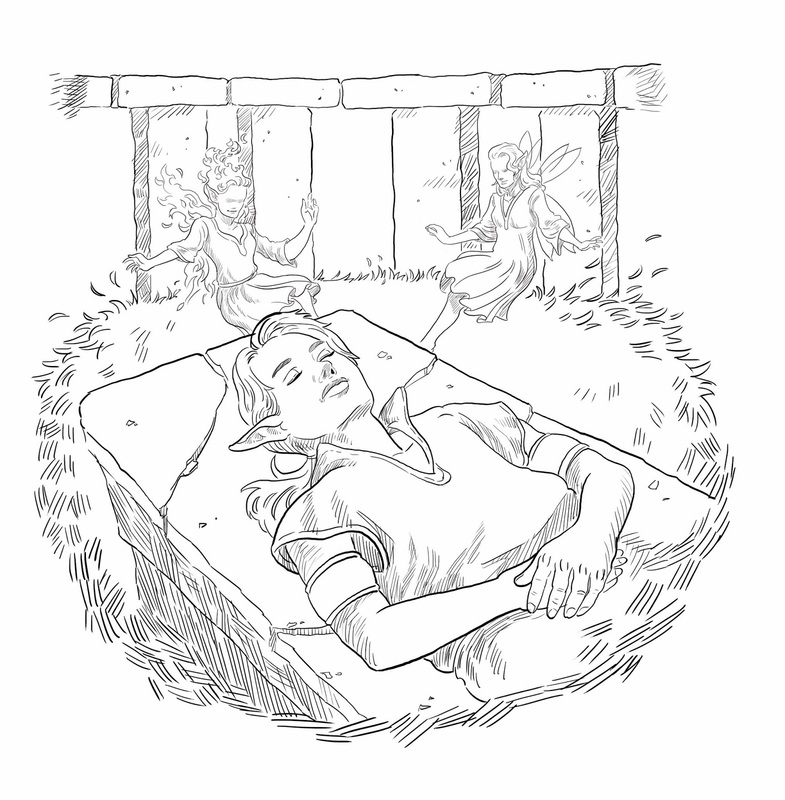 Don’t worry – the faeries make up for it in arrogance. 🙂 I had such fun with this story… I think it shows! Thanks for the great comment!